The problem raised in my last post, is the difference between formal and tacit knowledge. The power of formal knowledge is in its universality. It is true for all times and all places. The trouble is nothing is true for all times and places. Reality has a habit of flipping real instances on their head. So, we may know how a machine should work but knowing why this particular machine isn't working, is an entirely different matter. Human systems are similar. We may know a lot about human behaviour and psychology and yet we often find ourselves completely unable to read a real situation, particularly one involving us personally. But the dispassionate observer is not guaranteed read a particular situation fully. There is always more to know. We encounter tacit or intuitive knowledge, where we see the patterns even if we have difficulty explaining what it is we see. Tacit knowledge is found through observation and experience. Formal knowledge is no short cut to tacit knowledge and might be a barrier. Ultimately, we have tacit knowledge if we are able to perceive things in the round, as a whole. I encountered this during a eucharist earlier this week. This took place in 13 November this year and at the time of posting has had more than 1.3 million hits. 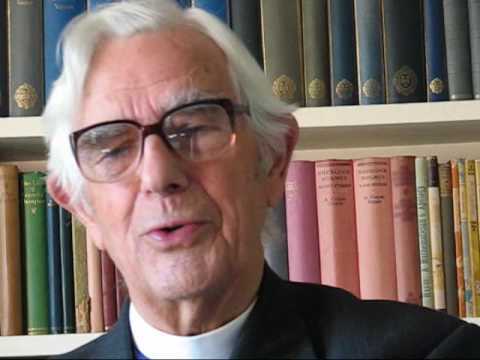 I've admired Dudley-Smith ever since I discovered Child of the Stable's Secret Birth , in the 1980s, soon after Hymns and Psalms was first published. This hymn, Tell Out My Soul (Tune: Woodlands), is based upon the Magnificat and is possibly better known. Dudley-Smith retired a long time ago but is still writing hymns (I discovered the video on 13 March 2010 and so he is clearly still active). He is a modern hymn writer who is much under-valued (at least by British Methodists). This verse addresses the issues Walter Wink identifies and once again we have a glimpse into the radical world-turned-upsidedown we never lose sight of as we read the Gospels. It is a struggle to keep radical as we wrestle with the words of Scripture. I wonder whether this hymn really helps? I first encountered John Bell at the Abbey on Iona in what must have been about 1983. I was part of a group who worked with John to produce the Iona Community's first ever recording Through Wood and Nails, which was of course issued on vinyl (and so, is no longer available). 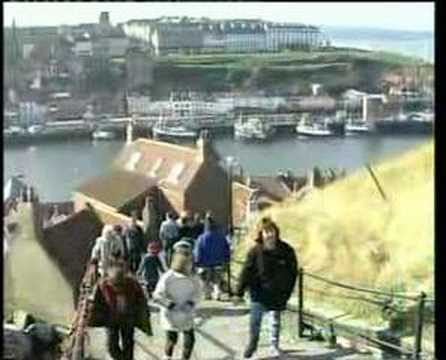 Since then he has written, with Graham Maule, a large number of modern hymns in the Celtic tradition. I've chosen this verse because it is a good example of his direct and grounded style. The link is to a later edition of the Wee Worship Book than mine. The Iona Community is part of a revival of interest in Celtic Christianity. John Bell has popularised it by writing modern hymns! It is easy to forget when we take pleasure in his Celtic approach, enjoy the music and sing the words that the Christian faith is about suffering and love. These words are an the invitation to encounter the pain of others, to ground our wilder flights of spirituality. This is how we learn to love. This is a radical hymn. Most people don't realise it is a radical hymn. No space to go into the detail of the whole hymn. It is common for verse 4 to be omitted. Why? I am indebted to John Hull, who interpreted the hymn in a lecture some years ago. Just two points. When I Survey the Wondrous Cross was written around 1707, when the centre of the world's economy was moving from the Netherlands to Britain. Perhaps it should be Great Britain, for this was the year the United Kingdom was founded. The reason the verse is so often omitted, is not as some think the mention of blood (Watts father was a dealer in dye and the image is of crimson dye spreading through a cloth). It is the word globe. We no longer realise how important globes were in Watts' world. They were used to plan trade routes. Watts could see which way his world was going. Are we able to join with him in the last verse and sacrifice the whole globe for the demands of love? 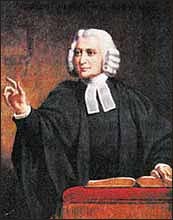 About one fifth of the hymns in Hymns and Psalms are by Charles Wesley. John and Charles understood people would learn their theology through singing; Methodism was born in song. I've been singing these hymns for over 30 years, and I am probably unaware of how they have formed my beliefs. Although John Wesley is thought of as a theologian, it is Charles' theology which is better known because Methodists still sing his hymns most weeks. As a preacher, I usually find I've included at least one of his hymns in my services, usually without making a particular effort. This hymn, best sung to Sagina or Abingdon, is probably the best known. I've chosen this verse because it speaks (or sings) of the experience of liberation the Christian experiences. We do not go forth to be enslaved to some ideology, particularly any ideology with the label 'Christian'. Methodism was a movement of the people. The clergy were not always happy with this idea but the nature of the movement was always a radical opportunity for the most marginalised to build their own faith as a community. We need to remember liberation is not only from something but to something new. What does it mean to be one follower amongst others? For the light that is coming in the morning. Sydney Carter was a Quaker and his best known hymn is probably Lord of the Dance. We used to sing this one, Eve is a Queen and Adam is a King, in the Sheffield Liberation Congregation, about 20 years ago. It had its origins in the 1981 500 years commemoration of the Peasants Revolt. John Ball was a priest who is best known for the saying: 'when Adam delved and Eve span, who was then the gentleman?' Gentle Angry People was published by the late lamented Alliance of Radical Methodists in 1987. 'All shall be ruled by the love of one another' has been the cry of radical Christians down the ages. Reflect upon how readily Christians sacrifice the rule of love for the rule of law. Man's clouded sun shall brightly rise. 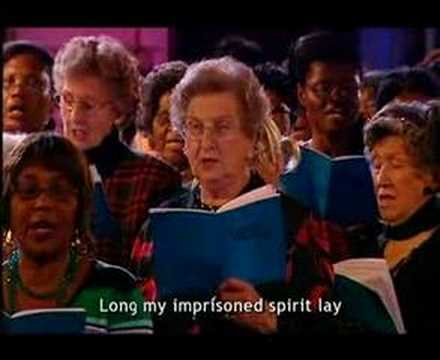 Some of us discovered this hymn in 1982, when I lived above Grimesthorpe Methodist Centre in Sheffield. 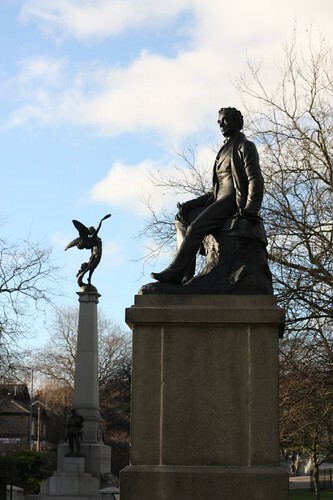 Elliott was known as the corn law rhymer and his statue is in Weston Park in Sheffield. The house where he lived is marked with a blue plaque in Upperthorpe, Sheffield. The members of the Grimesthorpe Methodist Centre, who were in their late eighties, told us they were not allowed to sing this when they were young because it's telling God off! More likely it was frowned upon because it was written in the nineteenth century soon after the National Anthem. When wilt thou save the people? enjoyed a renaissance in the musical Godspell in 1970. It is usually sung to Commonwealth. I still believe this hymn should be sung more often. It is a miracle it found its way into the hymn book in the first place and it is significant it is not in the current one. The lyrics might be seen as sexist but I hope this can be excused this one time. We should ask ourselves why Christians are so reluctant to sing revolutionary songs these days. We seem to have given up on anything other than anodyne worship songs about nothing real. Idolatry 10: Why Pick on Father Christmas? Father Christmas and Santa Claus seem to have originated in separate traditions although they're now universally seen as the same. Santa Claus started out as St Nicholas and delivered presents to people who were in need; a saint in the timeless tradition of redistribution of wealth. Father Christmas was a much later development of the early Victorian era in England. I remember as a child we were told, we had to be good. It seems this character was used by parents to instill a little discipline. Be good or you won't get any presents. Here is a well known example of Santa Claus playing this role. I think this version with Bing Crosby and the Andres Sisters is amongst the best. Today Father Christmas plays a rather different role to the one he played during my 1950s childhood. We hear virtually nothing about Christmas being a time for redistribution. We hear little about being good. Presumably, not awarding the bad child is not good for profits. Father Christmas' role has subtly changed during my lifetime. What is the difference between the story he tells today and the story told 50 years ago? How do we account for it? Is this another rant against Christmas? I must confess I have a lot of sympathy with those who would campaign against Christmas. Christmas is excessive and smug. The delight children take in it is worthwhile but we do not need the connivance of the money men. Our children's pleasure is essential to the economy, wouldn't you know? However, campaigns against Christmas make no discernible difference. The social forces are too strong. Commerce is onto a good thing, working with the grain. However, my point is not to make comments about how dreadful Christmas is but to explore how this specific example of idolatry actually works. Indeed, this instance of idolatry is unique. There is no other idol that has a comparable grip on public consciousness as Father Christmas. Father Christmas is material and universal. How does this image maintain its hold upon us as a society, a hold to the extent that no-one seems able to see what Father Christmas is? The history helps us trace the development of this image over centuries. Was he always an idol? Probably not but by the turn of the last century he was worked into the world of commerce and that is from where his image gets its significance. I have no idea whether anyone has researched this or made these points before. It seems a valuable opportunity to gain insights into the way our modern society works. On the way we may identify other idols and certainly learn of the hold modern idols have over us. If we want to know why we're so helpless as a society in the face of climate change and numerous other intractable problems, this may be the explanation we are seeking.